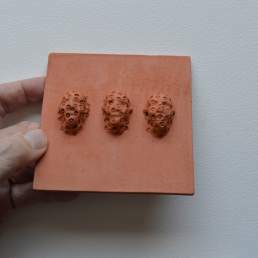 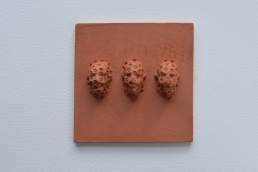 An unglazed terra-cotta 10cm x 10cm tile, showing three faces with circular indents. 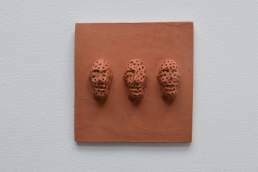 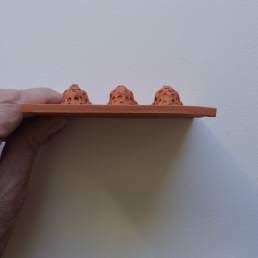 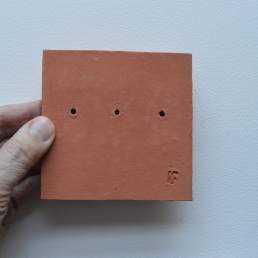 An unglazed terra-cotta earthenware piece in the form of a 10cm x 10cm tile, showing three faces with a random impressed circle mark. 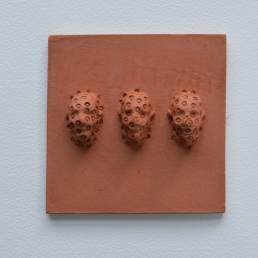 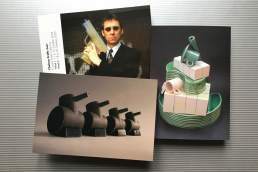 Each piece is unique, this is part of a series (rather than an edition where each item is essentially the same) on the theme of faces.